Junior Programs in Spain | USAImmersion :: Learn More! 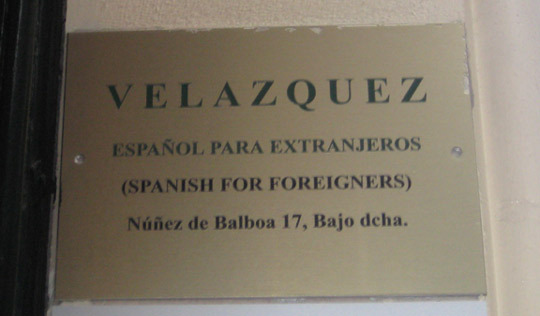 This school has been dedicated to teaching Spanish to foreign students for over 40 years. Thousands of students from England, the United States, France, Portugal, Brazil, China, Japan and many other countries have passed through their classrooms. 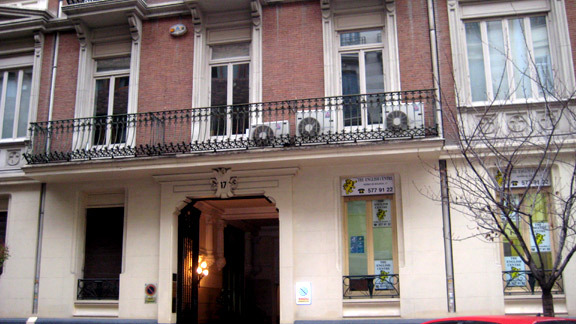 This language school has 12 individual classrooms and is located in the Barrio de Salamanca, a couple of minutes from the Parque del Retiro, Alcala Gate and the best and most exclusive shopping district around Madrid. The school’s methodology is based on active participation of students in a pleasant classroom environment, emphasizing a communicative and practical approach to learning. Its main objective is for the students to acquire knowledge and skills needed to enable them to communicate in colloquial Spanish. Their method, while incorporating some technology, emphasizes live contact in-person interaction between teacher and students. American students can stay either with Spanish families or in dormitories. The school offers a wide range of Spanish language class options as well as a rich program in cultural, social and gastronomical activities and excursions to get to know Madrid and other major Spanish cities. If you would like information about Adult Language Programs in Spain, please contact us.